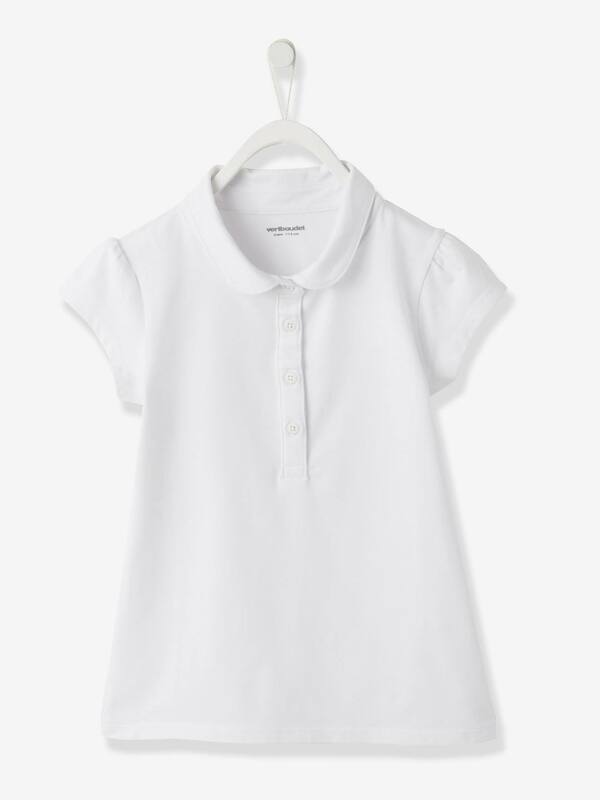 Peter Pan collar and gathered short sleeves set off this adorable polo shirt! Girl's polo shirt in soft jersey knit 95% cotton, 5% elastane. Tops are amazing; they can be worn in summer or winter. At Vertbaudet we love to create different designs to suit every little girl. If your girl is into a girls’ black top, or if she prefers something more colourful like a unicorn t-shirt then look no further. At Vertbaudet we have an extensive range of girls’ tops. Our range includes, short-sleeved and long-sleeved tops, and we also have tops with reversible sequins and tops in a huge array of colours.